Stressed out? Looking for a departure from the ordinary? 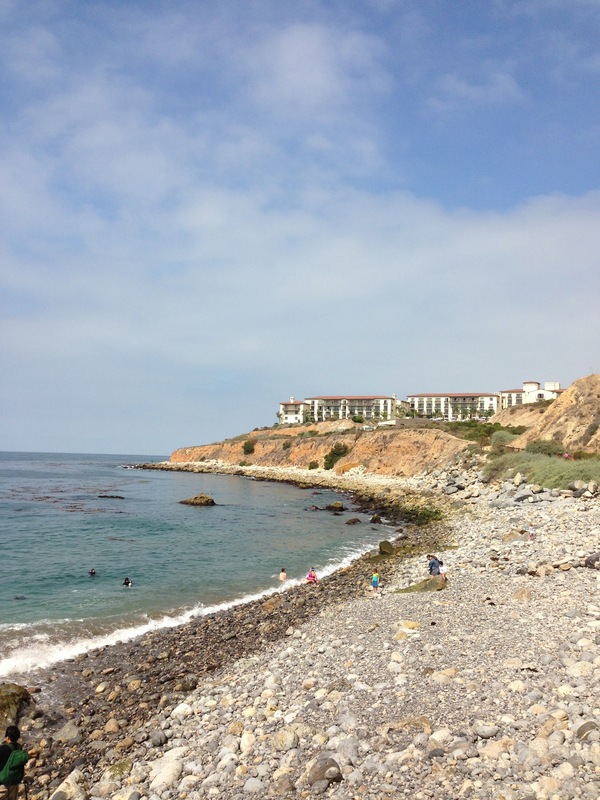 We’ve got a destination that’s just around the corner but is guaranteed to take you away: Terranea Resort, where you can wrap yourself up in all of the ocean’s natural glory without even leaving the South Bay. 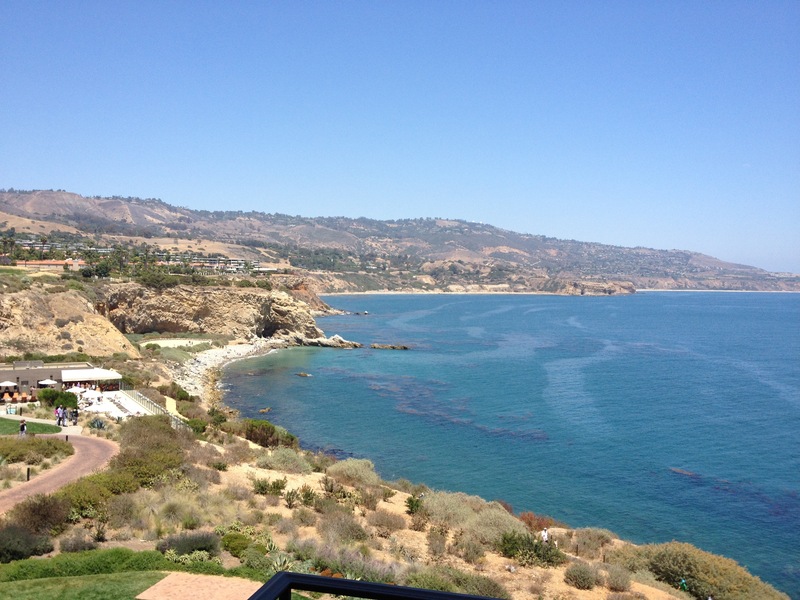 After a recent overnight at Terranea, we were positively hooked. This 102-acre luxury eco resort is bounded by the ocean on three sides, so you can barely even turn your head without seeing spectacular ocean views every way you look. The resort offers 582 guestrooms and suites, including bungalows, casitas and villas; as well as restaurants; a full-service spa and fitness center; an award-winning golf course; three swimming pools; kids’ club; a full range of outdoor recreational activities; and event spaces. We started our evening with dinner at mar’sel, and were delighted to find that there was literally nothing between our table and sweeping ocean views. When we told our server that we felt like we wanted the night to last forever, she told us to take our time; the table was ours for as long as we wanted it. We enjoyed a wildly delicious meal, highlighted by the most tender Wagyu beef we’ve ever tried, and homemade English muffins that magically appeared at our table each time a new batch came out of the oven. For adventurers, there are miles of oceanfront trails at Terranea ranging from easy to moderate. Don’t miss the trail down to the rocky beach, where there are kayaks lined up waiting for your next adventure. If you have sturdy shoes, climb the extra 50 yards or so to peek in to the ocean cave, where fossils and sea creatures are right at your feet. 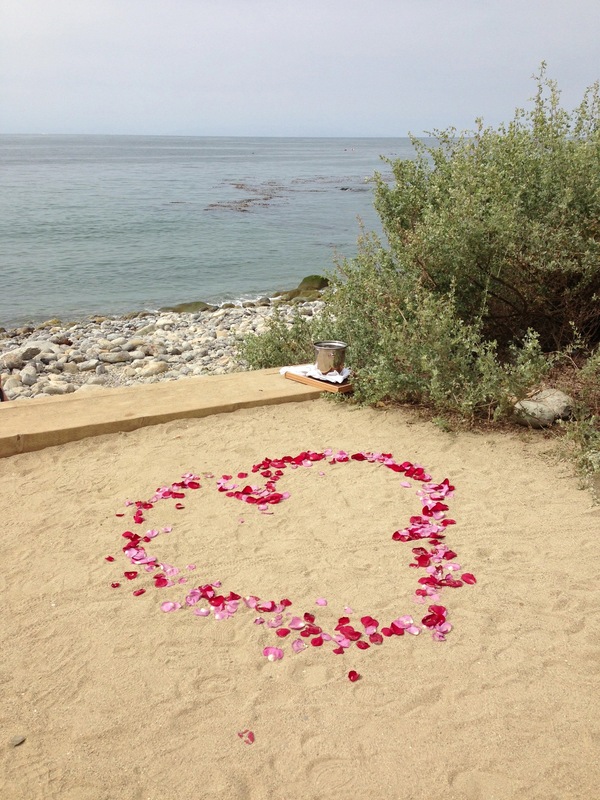 While we were at the rocky beach, we were lucky to see the remains of what must have been a beautiful seaside proposal at the beach. If you have kids, you won’t want to miss the main pool area, with its kid splash zone and water slide. 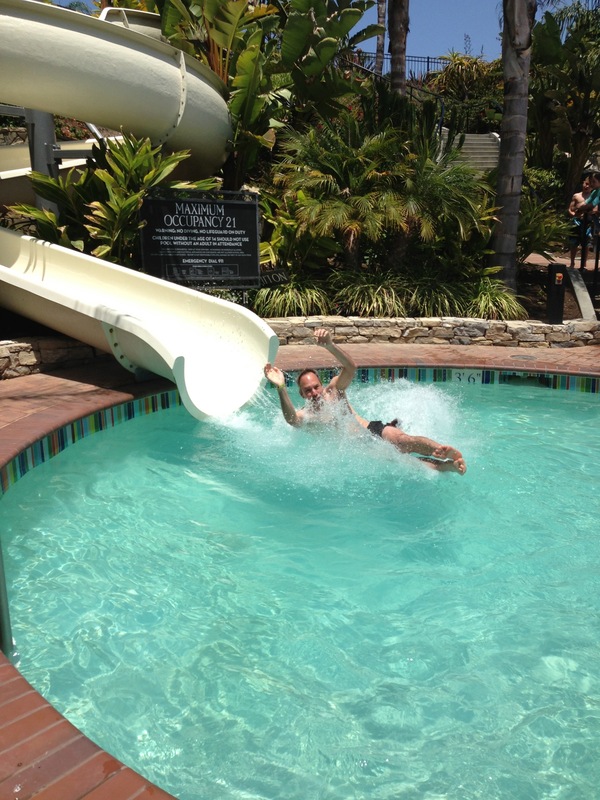 Sure, adults get their own pool, but it’s hard to stay away from that slippery zig-zag slide. When you’re all done, you can warm up in the hot tub, or cool down at the spa. If our kids had their way, we’d still be there now. We’re planning our next trip already. Terranea: 100 Terranea Way, Ranchos Palos Verdes, CA 90275. Information: 310-265-2800. Reservations: 866-802-8000. Blogger disclosure: We paid for the trip on our own and decided to write about it; we did not receive any compensation for this post. All opinions expressed are our own. Sure, your restaurant promises fresh local produce, but does the chef really know where it comes from? At mar’sel, the fine dining restaurant at Terranea, the answer is yes – it comes from right outside the door. Mar’sel has collaborated in a unique partnership with Home Grown Edible Landscapes, a sustainable garden and landscaping company run by local master gardener Geri Miller. Working closely with Miller on seasonal gardening, mar’sel Chef Michael Fiorelli is able to take the freshest herbs and greens of the season and bring them just ten steps into the kitchen before they arrive on your plate. Recently we had the opportunity to attend an on-site gardening class and luncheon at mar’sel – learning about the art of growing edibles at home, and then tasting some of Chef Fiorelli’s freshest creations. After participating in the seasonal spring planting (vegetables, herbs, and flowers) out front, our group reconvened on the oceanfront patio to savor a colorful salad of little gem lettuce, watermelon radish, ruby grapefruit, California olive oil, and sea salt. 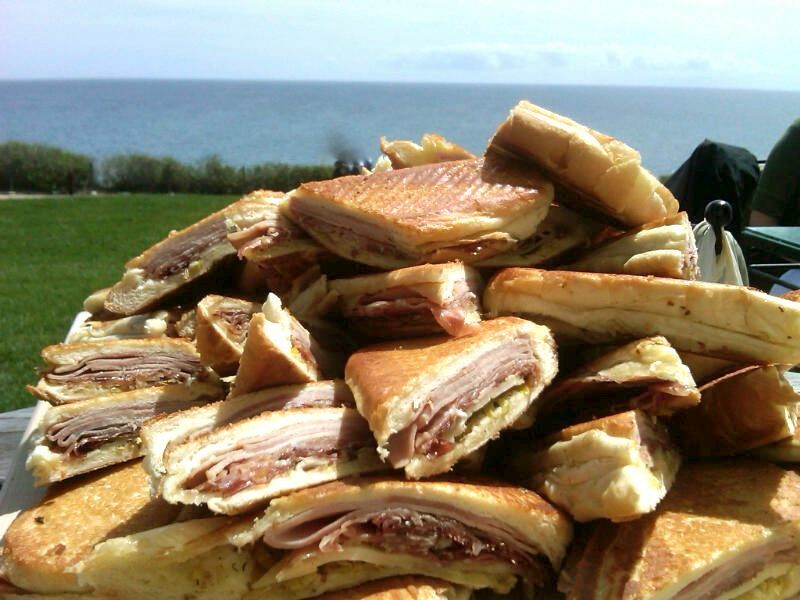 Next we enjoyed a stack of fresh-pressed panini with Italian meats, aged provolone, and pickled vegetables. Following lunch we took a tour of the kitchen and watched the staff prep for a busy Saturday night ahead. Fiorelli noted that the restaurant’s name – mar, Spanish for sea; and sel, French for salt – turns out to be a perfect fit for the restaurant’s setting and dining aesthetic. Of course it’s a given that the panoramic ocean view at mar’sel is a major draw, but watching the moon rise over the ocean is an especially spectacular sight. Don’t miss mar’sel’s special moon-themed menu, offered once a month on the night of a full moon. The restaurant keeps its own full moon calendar here. 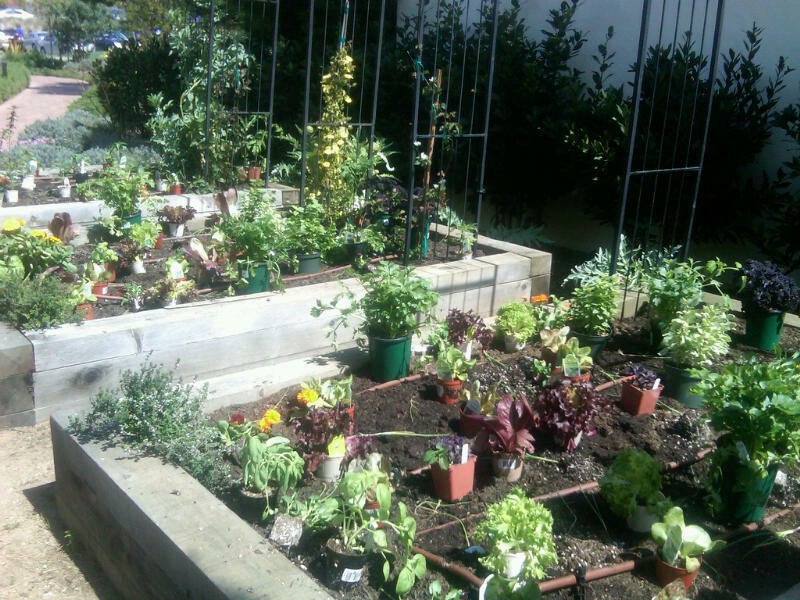 Home Grown Edible Landscapes, on Facebook and on Twitter.